Todd Corayer is a life-long fisherman and hunter who lives not far from Rhode Island’s Saugatucket River with his lovely wife, who supports his fishing mainly to get him out of the house, and a young son who regularly, often annoyingly, catches more fish than him. His work has appeared in The Double Gun Journal, On The Water Magazine, The Fisherman, The Bay Magazine, Coastal Angler, The Island Crier and very often in the wonderful RISAA Newsletter. He writes a weekly column, Fish Wrap, for the Southern RI Newspapers family which can be read from Charlestown to Woonsocket, a monthly fishing column for The Shore Times and a monthly column in On The Water magazine about the many characters living on Block Island. His work has covered how to fish the south side of Block Island, fly fishing for Atlantic salmon in up-state Maine, the best fall freshwater fishing in Rhode Island, how to not catch steel head in upstate New York, small mouth bass fishing on the Penobscot River, some small and creepy glass monster things, how much people from New Jersey drive him crazy, lots of detail on our critical and really cool forage fishes like river herring and whatever else might come across the bow. It’s also safe to assume sarcasm plays a major role in his work. That’s a lot. Todd is available for gear or product reviews, destination stories (please) and for all things fishing and hunting. His wife just wants him out of the house. I have heard that the write up about my shop closing hit the papers recently and was very well received, I do not get the Narragansett Times so I did not see it and can not find it on the web. Can you let me know where I can read the article and thank you. Jay here. Friend of Jon Fallow for a long time. He told me about your time at the music festival. I keep a Dyer 29 in Warren. I’m sure you know Richard Ribb too. Great writing sir! 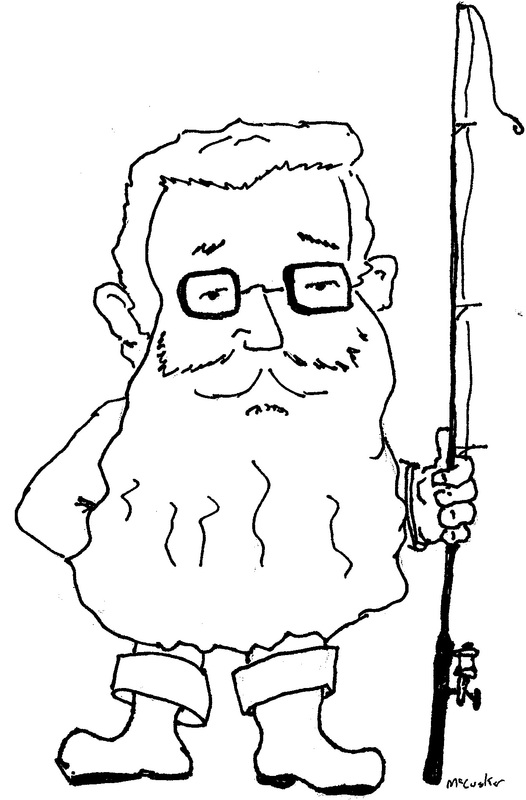 Your recent Spot Burning article in the Narragansett Times on fishing the ponds was out of line! What you did is just not right! You could have kept the particulars out and not put in the background photos. For some of us you just killed years of scouting and learning the local waters. You should know better! How would you like if if I followed you to one of your favorite spots then told the world about it and next time it was standing room only! Great article in the January issue of Power & Motoryacht page 38 “Don’t ask Don’t Tell by Peter Frederiksen- you should get a copy and read it. I hope I don’t see you on the water! If I do, get ready to duck! One pissed off local. Really? Spot burner? Where’s the part where I mentioned the name of the salt pond I was fishing. Did I mention the name? No, I didn’t. Did I say where we put in? No, but I could have because it’s a public access point that I personally have mowed and helped keep clear so we all can access the salt water. Did I say next to the oyster bar, which everyone from here to Woonsocket knows about? No, I mentioned Cap’n Jacks, which is on the other side of the pond, below the channel I mentioned. How many people know about the house with the seagulls on the roof? Do you really think that’s a geographic icon? What particulars? The points of access are public right of ways, which I have written regularly about and was out in the rain today making sure all the signs were still there. That’s part of my effort to help locals like you keep access to our shared resource. Is there any mention of specifics like rock piles or channel markers? If you think finding a striper hanging along a current line waiting for silversides is a news flash then you don’t go fishing much. Standing room only? It’s friggin’ December. Do you see piles of bass in the far reaches of salt ponds in July when the tourists are here? Over those 2 days we saw not one other person fishing. Not one. As for the picture, I regret not cropping it more but ironically, I cropped other pictures right down to his hat for just that reason, to keep any reference point out of the frame and unfortunately, that was not the picture that ran in the paper. That I regret. In all honesty, how many could recognize a gazebo in the background of a picture? And, fishing salt ponds in Spring and Fall is not exactly new news for anyone. Guys have been fishing those coastal ponds for bass, perch and eels since God only knows when. Guys fished them with fykes and traps for decades. Did you write to On The Water or The Fisherman to complain about their coverage of fall and winter fishing or where to find holdover bass? 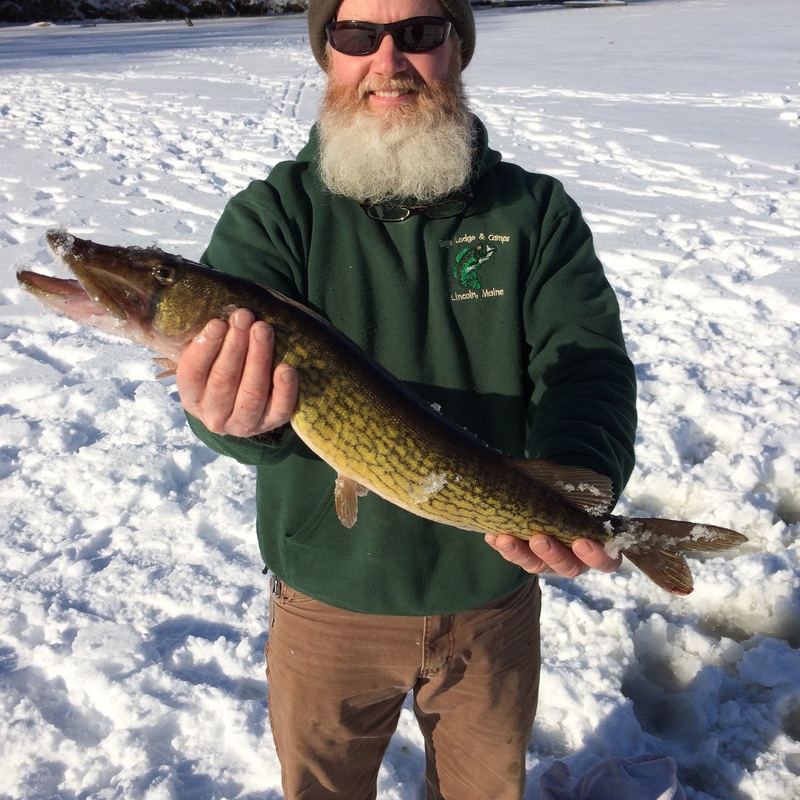 I fish all winter long in very public waters and never give up anything in the way of particulars unless it’s an already very public place. Go back through old articles, you will see that’s the truth. I pulled a big bass out of a South County river in the shadow of a busy road a few November’s ago and years later, included the fight in a column…never mentioned the spot once. Readers never knew where I was, just what happened. Lastly, I’m a local too. I’m also one who doesn’t appreciate your comment, or threat, to duck. You best think twice before threatening me and that’s exactly how I understood and forwarded your comment: as a threat.